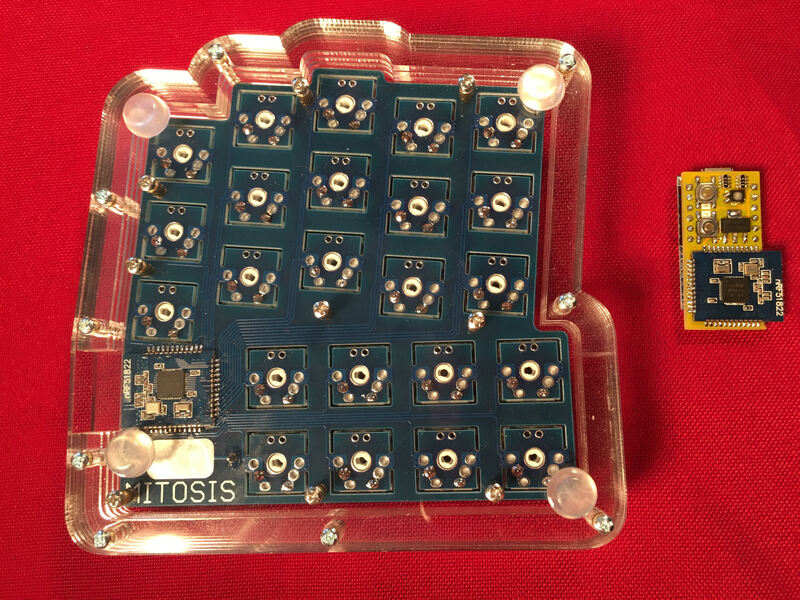 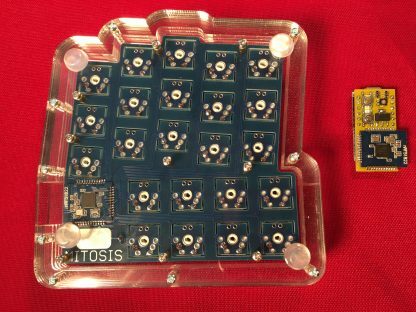 Due to these boards being made to order, please allow up to 5 days for assembly before shipping. 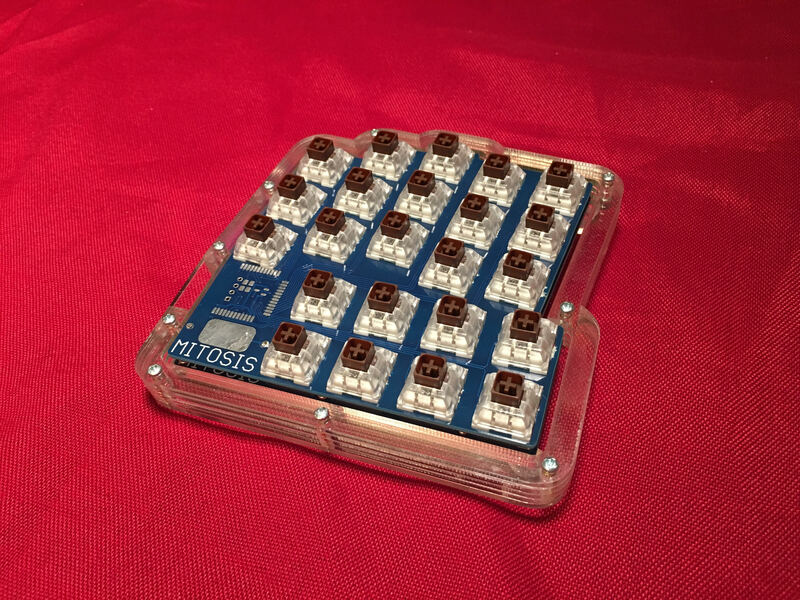 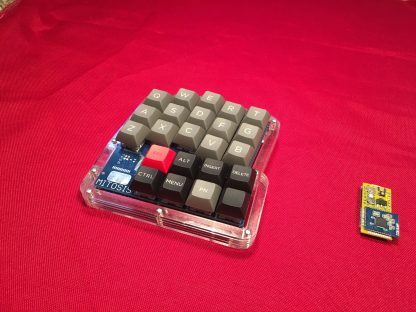 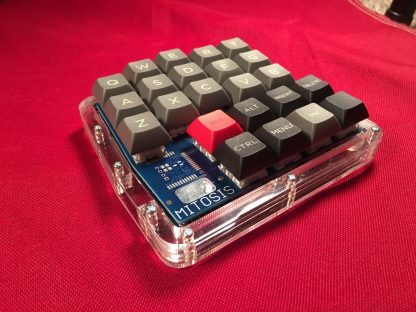 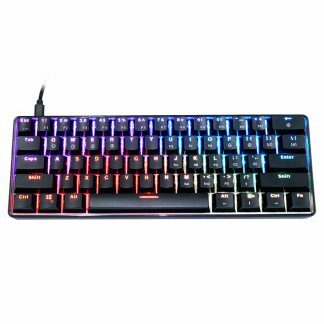 This is the Mitosis Wireless Split Ergonomic Keyboard with Acrylic Case. 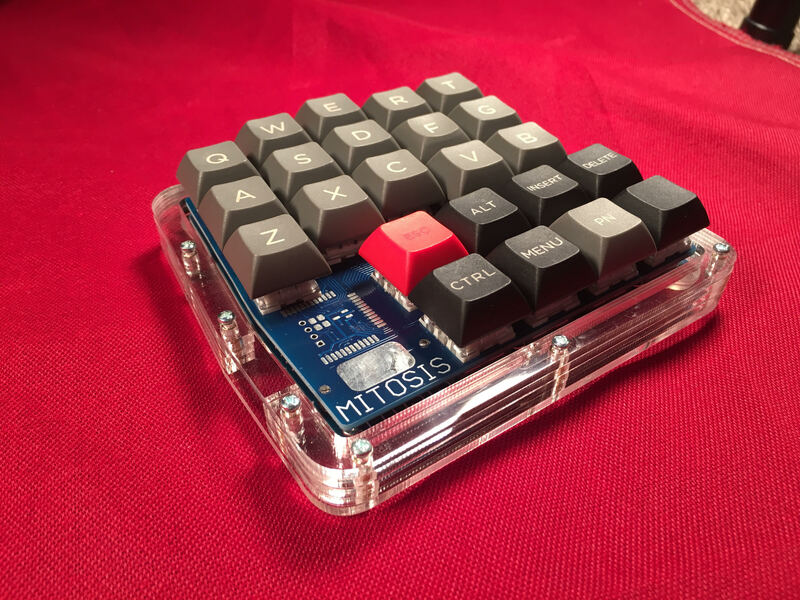 The Mitosis was designed by /u/reverse_bias (Reddit). 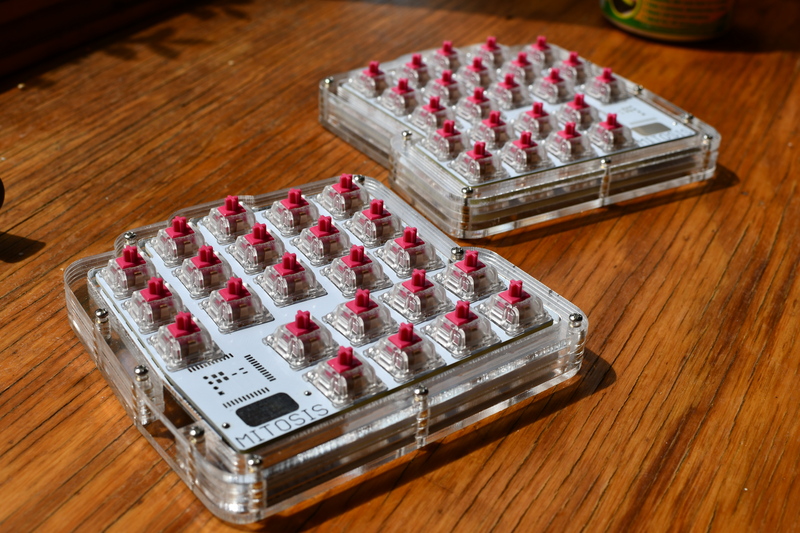 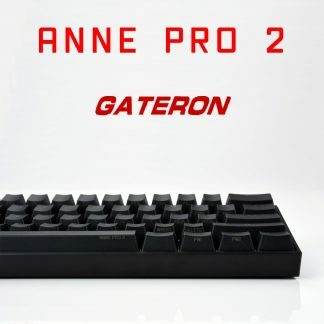 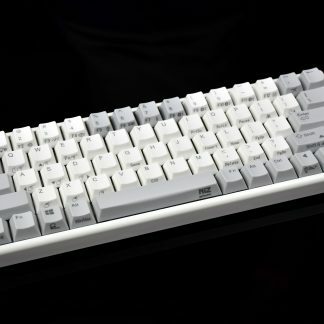 It features a design where each full keyboard set uses 4 pcbs- 2 for the actual pcbs of the keyboard, and two with switch holes broken out to act as the plate. 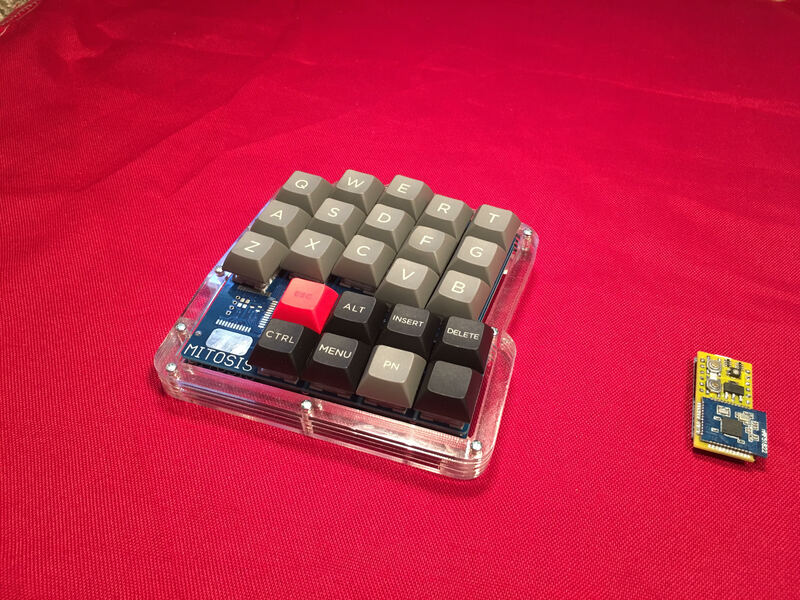 To change the keymap for the keyboard, a you simply flash a new QMK hex file to the pro micro on the receiver. 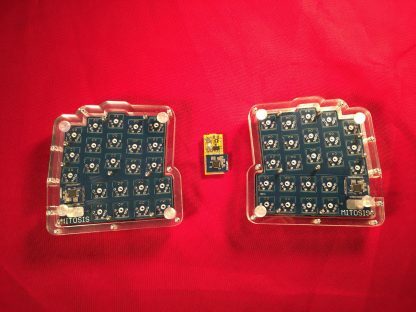 Wireless firmware does not need to be modified. 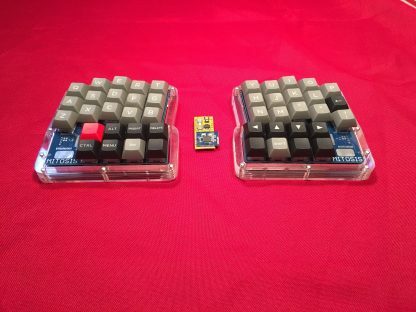 Each half of the keyboard is powered by a CR2032 battery. The acrylic case is clear acrylic. 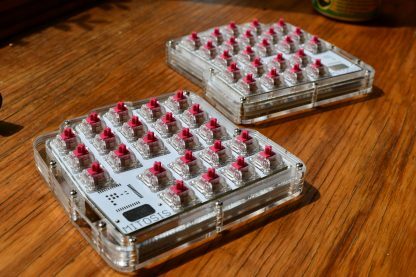 Note: All of our Mitosis shipped out as of 2/20/18 have the new wireless firmware flashed.